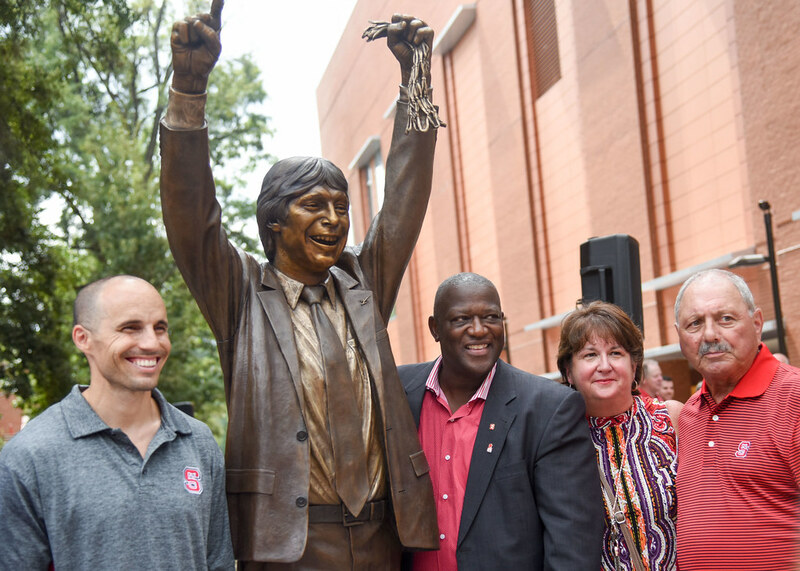 In the pantheon of NC State basketball, coaches Kay Yow, Everett Case, Norm Sloan and Jim Valvano are legends. 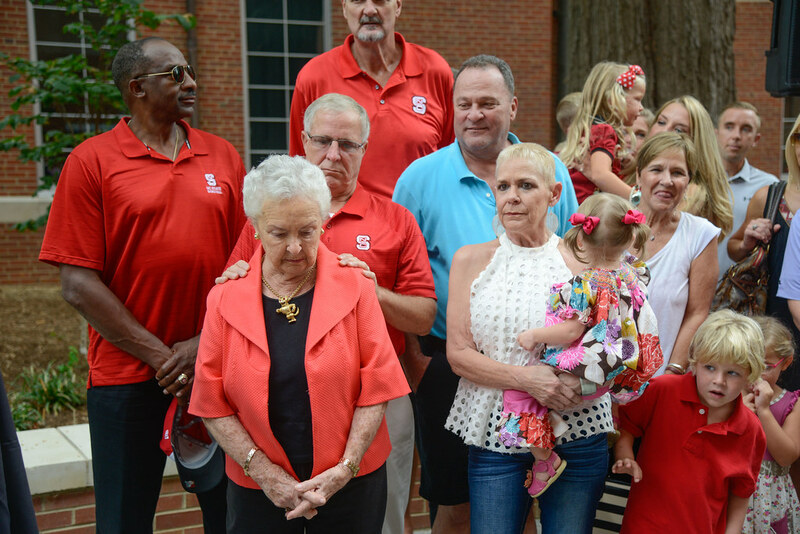 Collectively, they led the Wolfpack to nearly 1,600 wins, countless regular season and tournament championships and two NCAA titles. 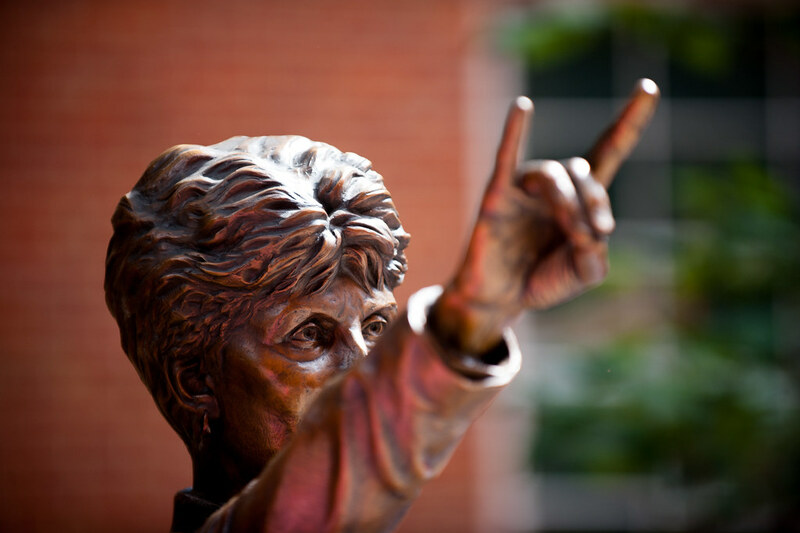 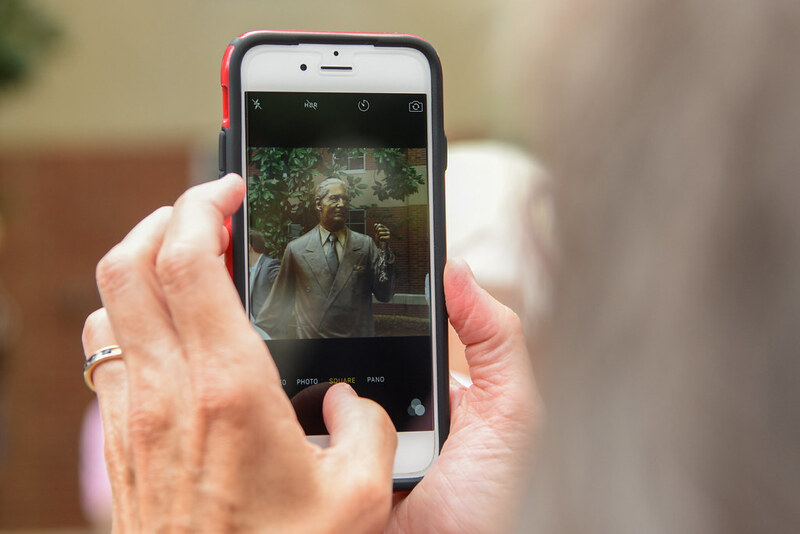 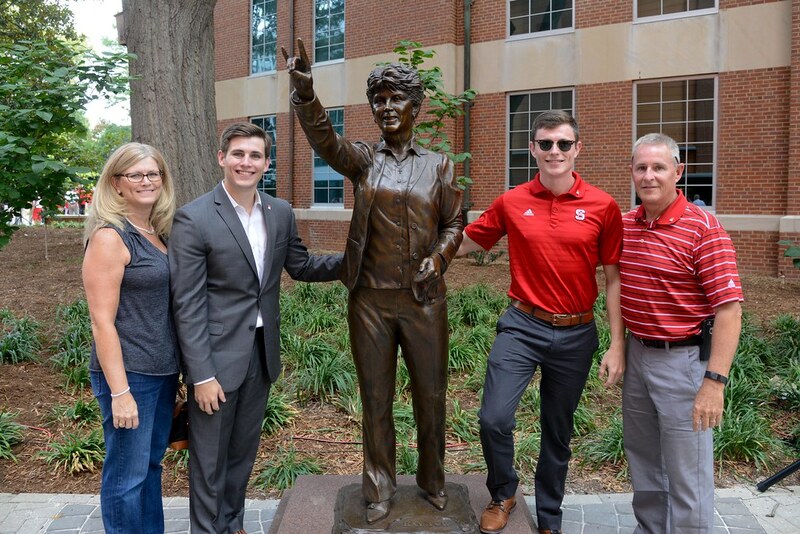 Now, the iconic coaches are immortalized in sculpture on the university’s campus — the result of a student-led campaign. 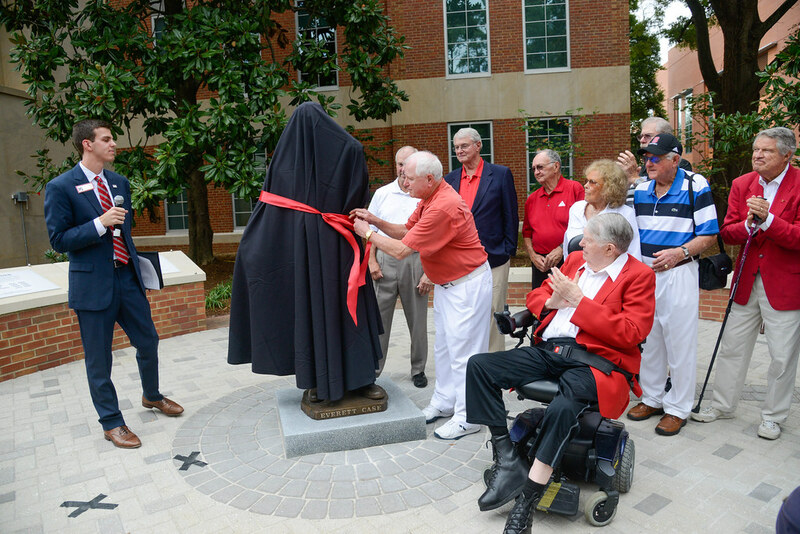 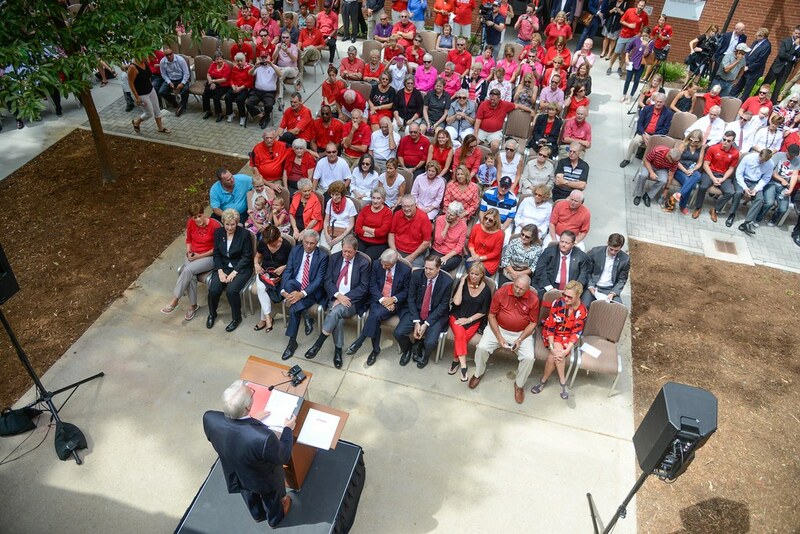 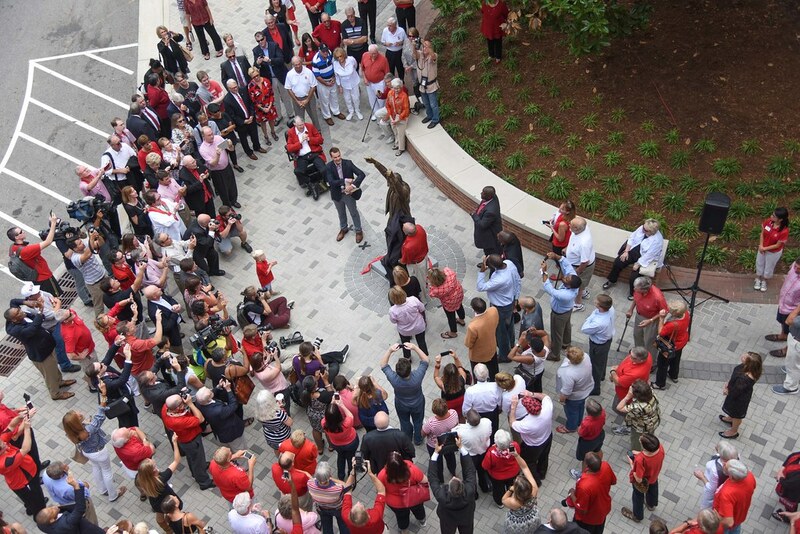 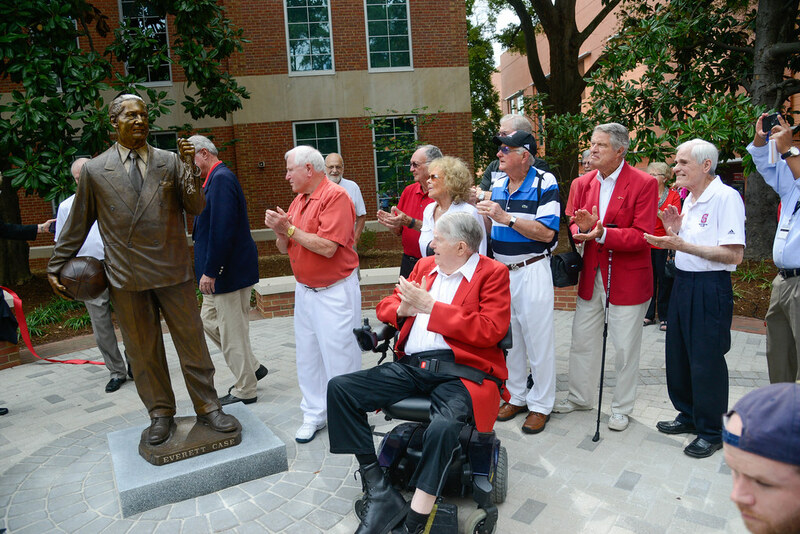 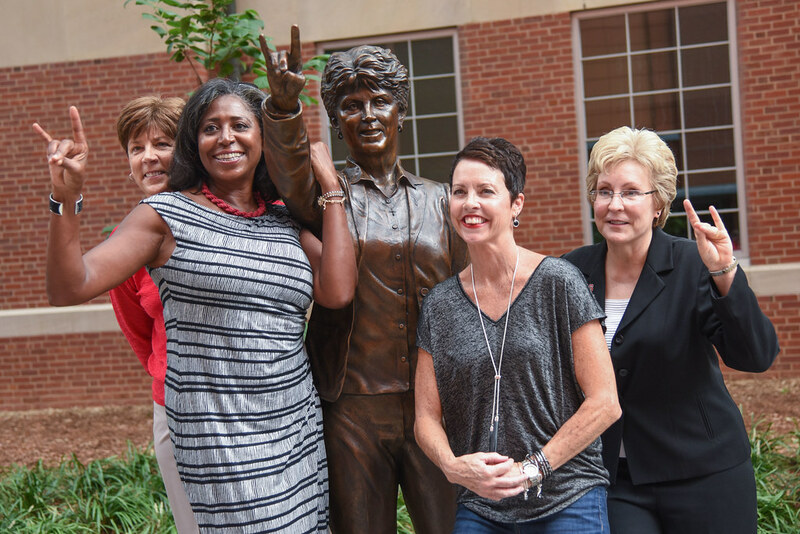 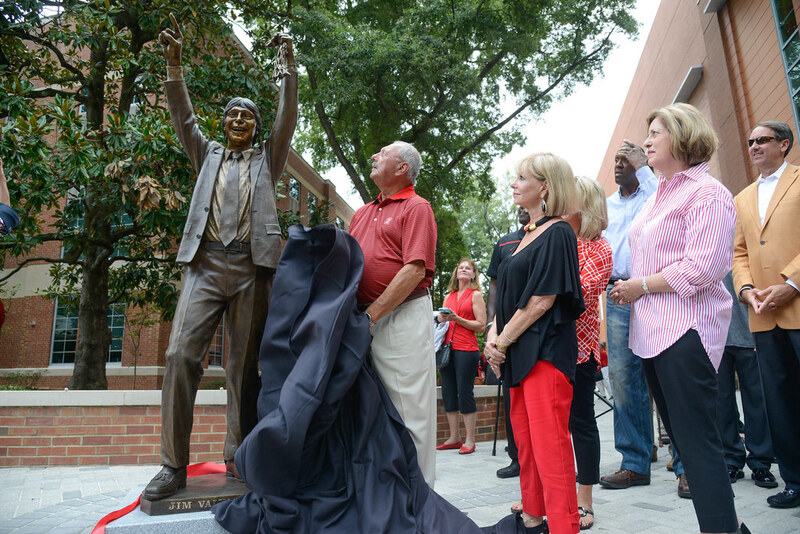 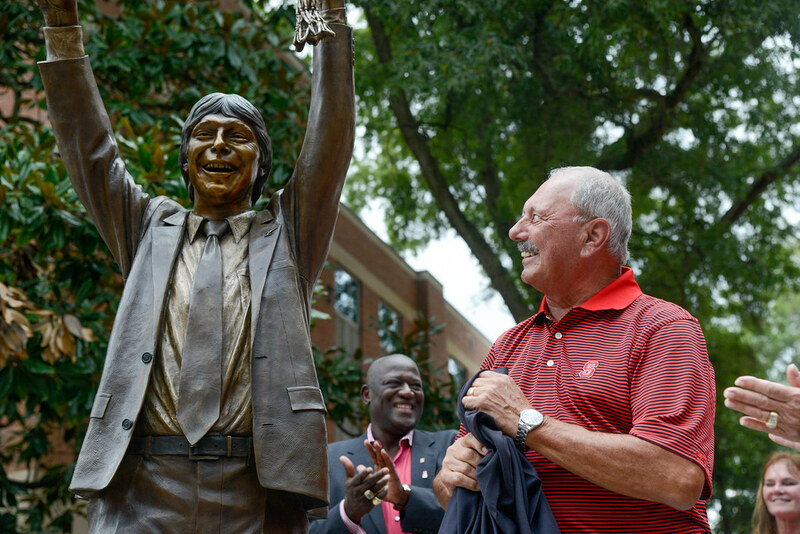 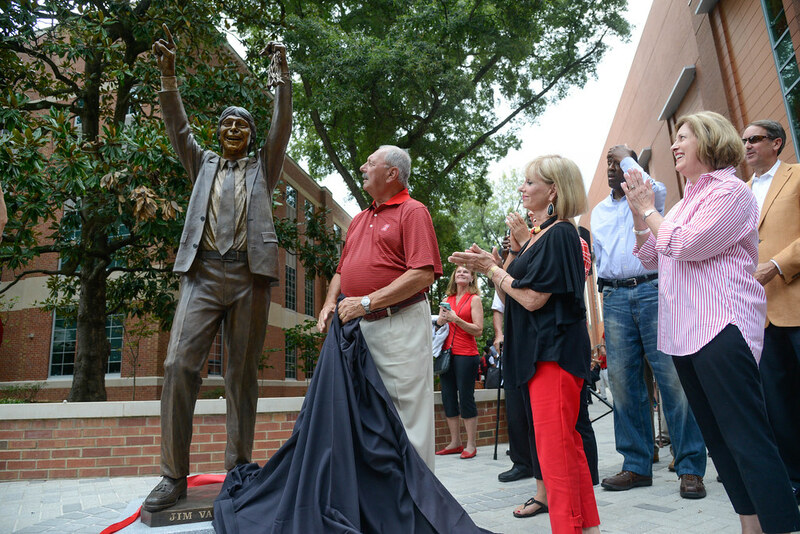 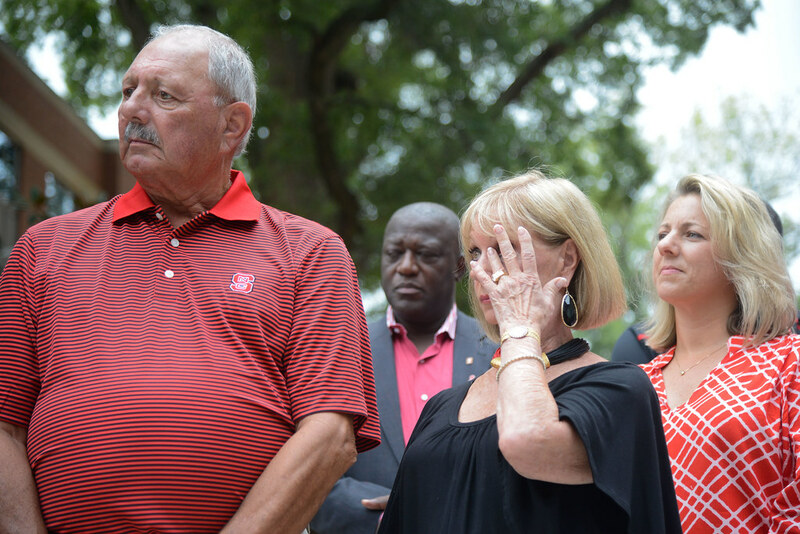 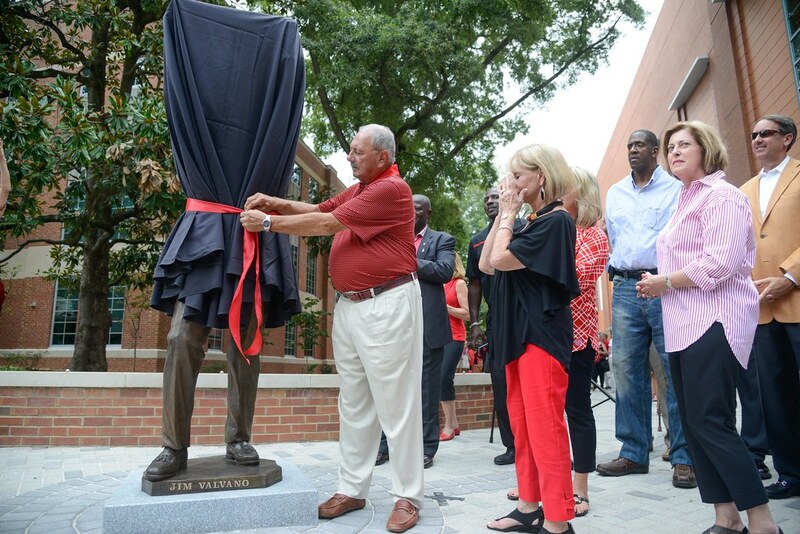 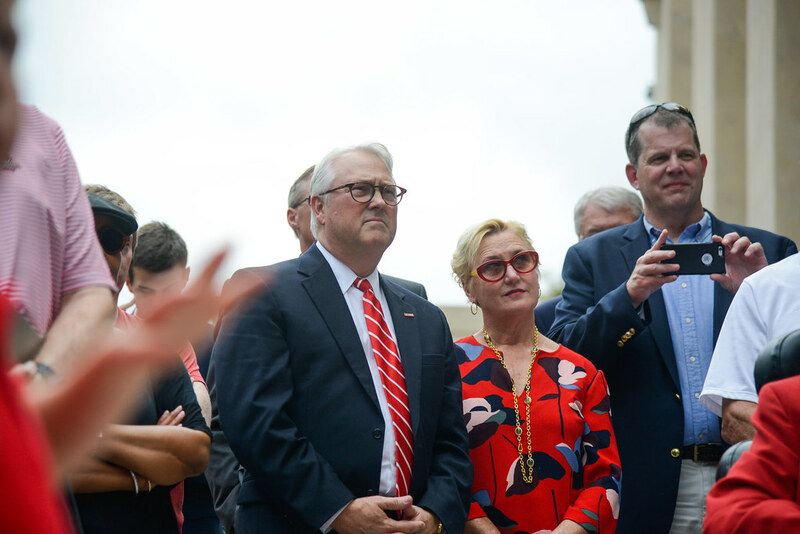 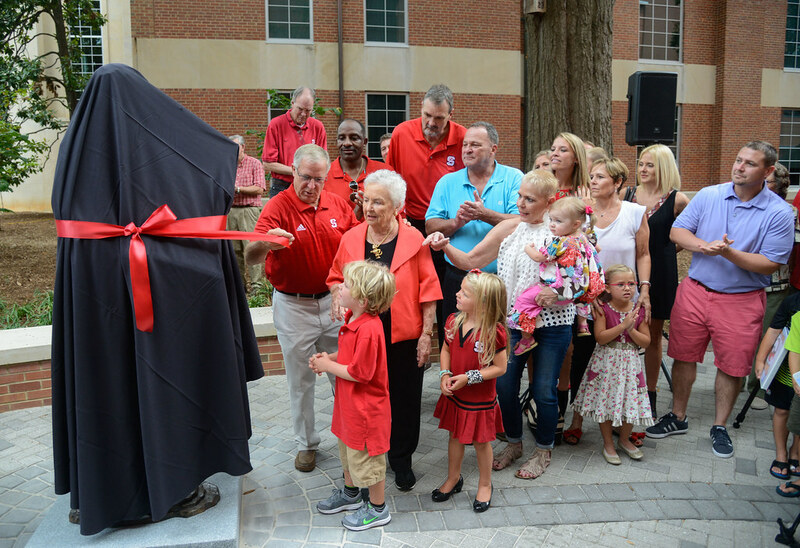 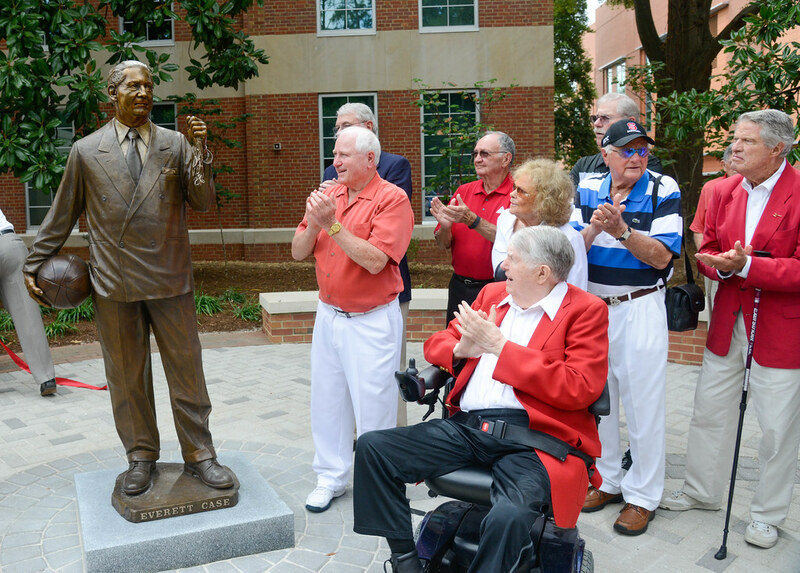 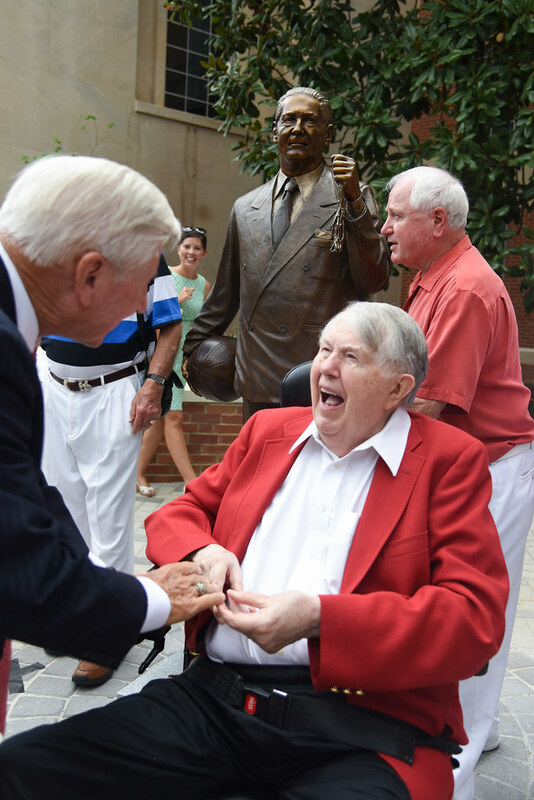 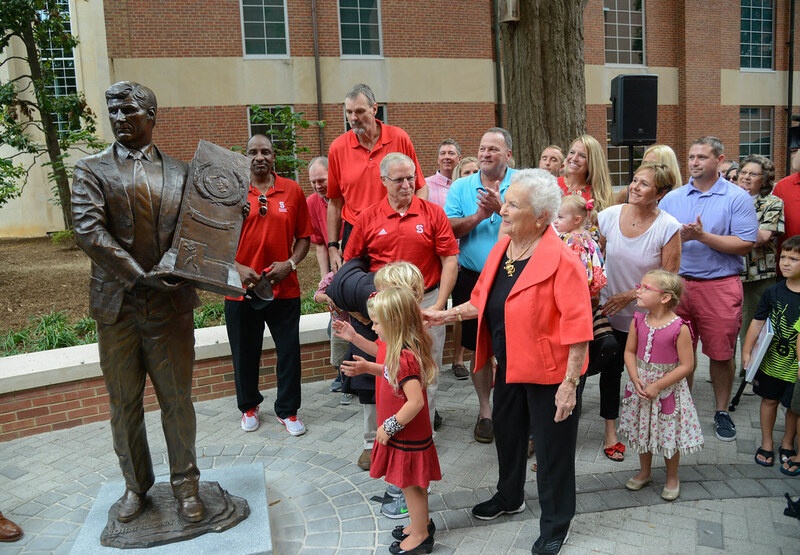 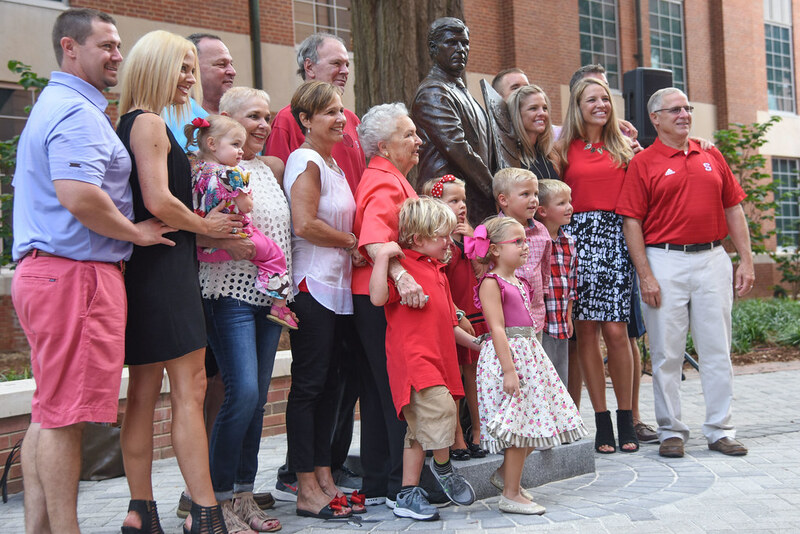 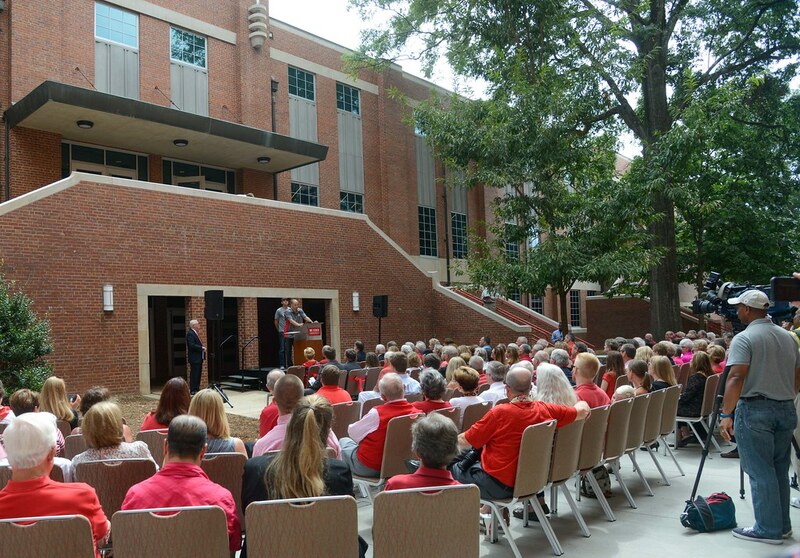 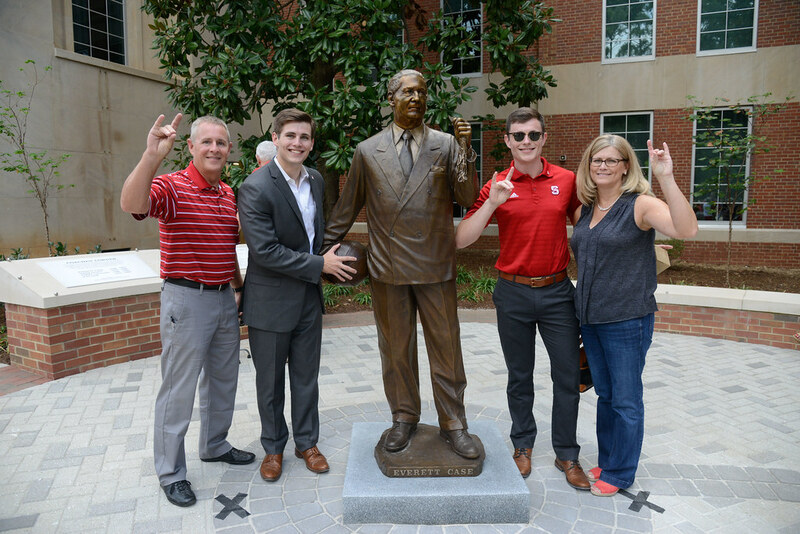 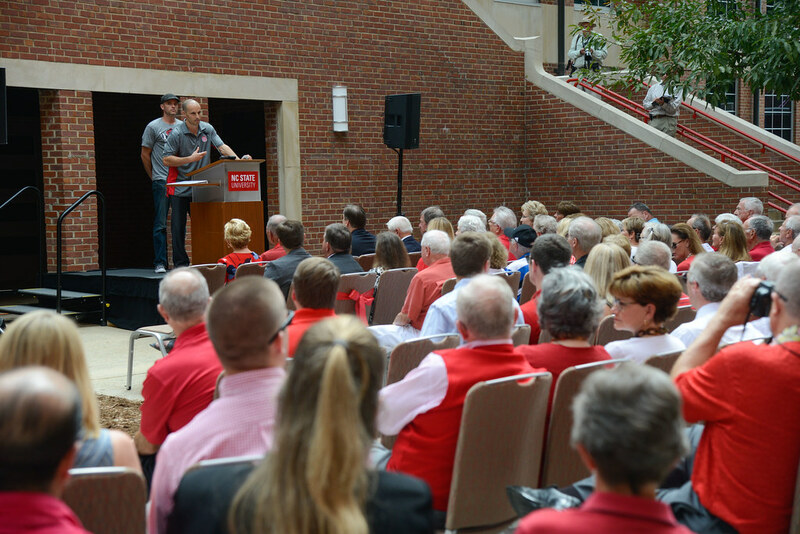 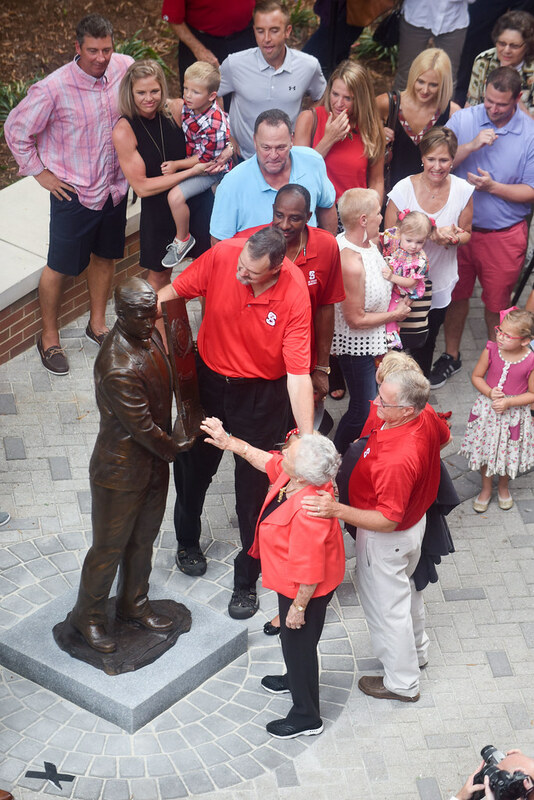 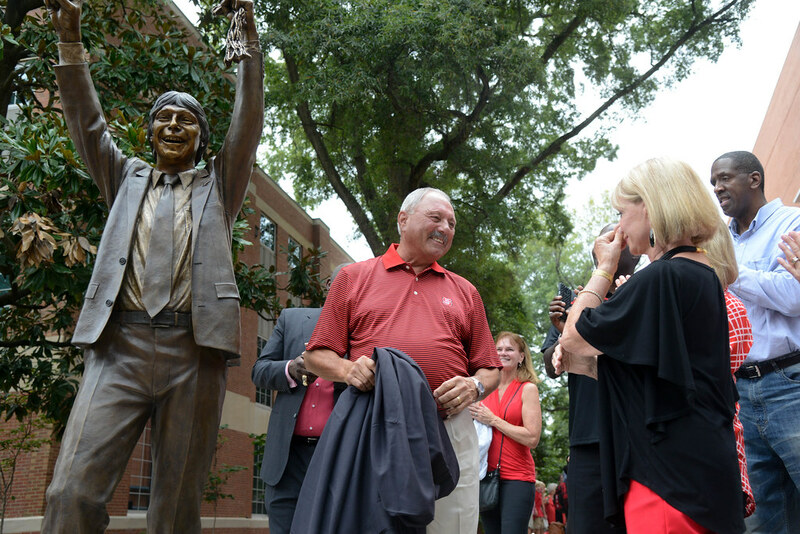 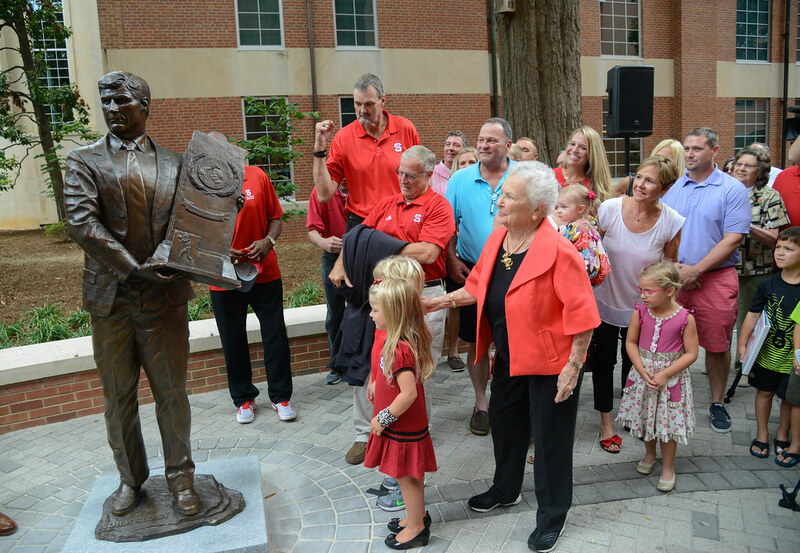 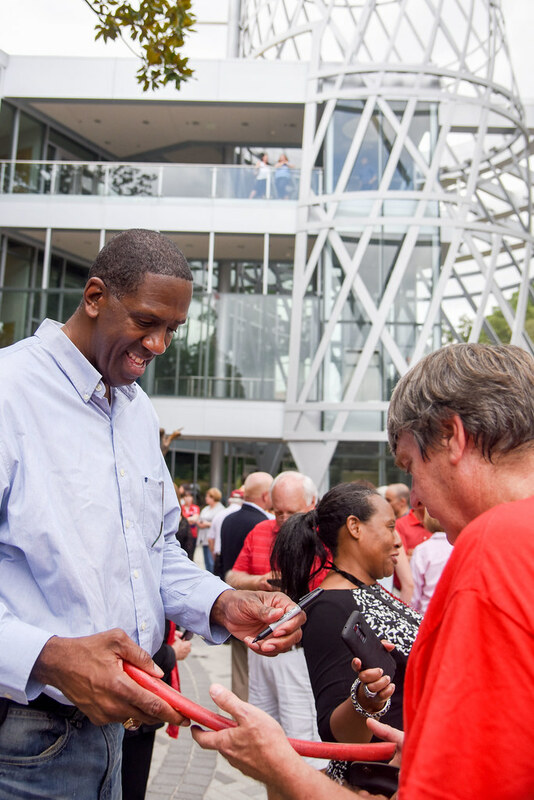 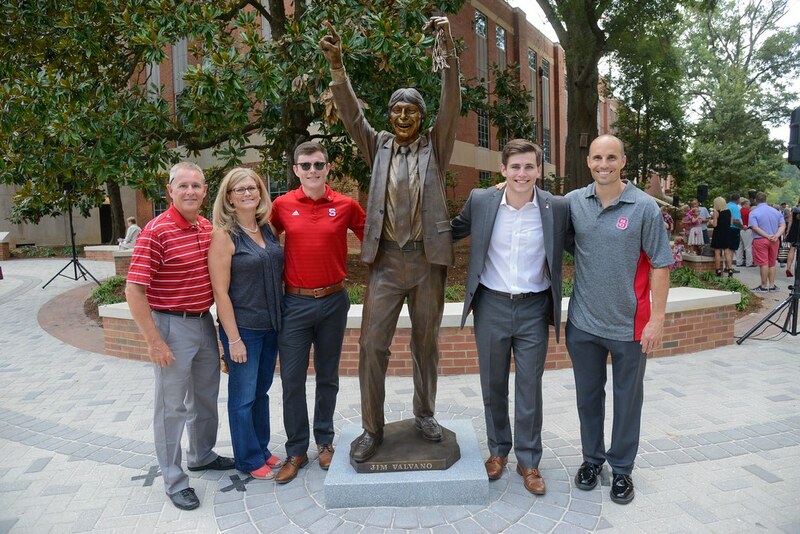 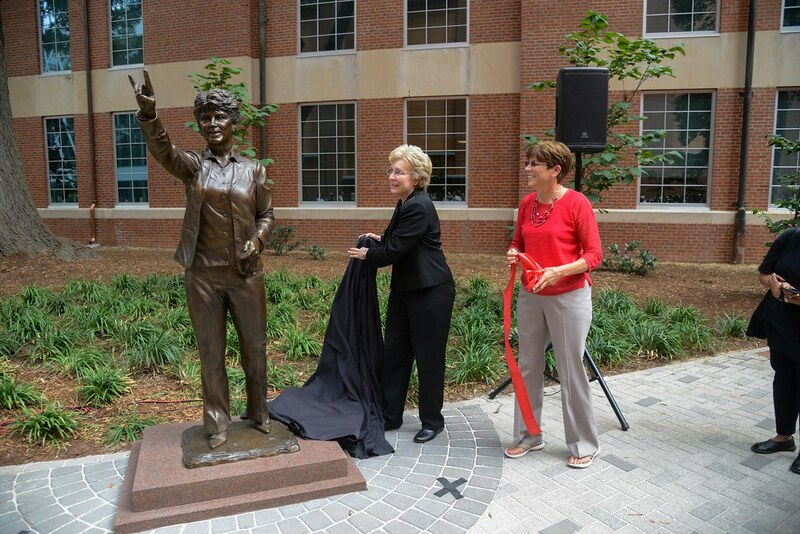 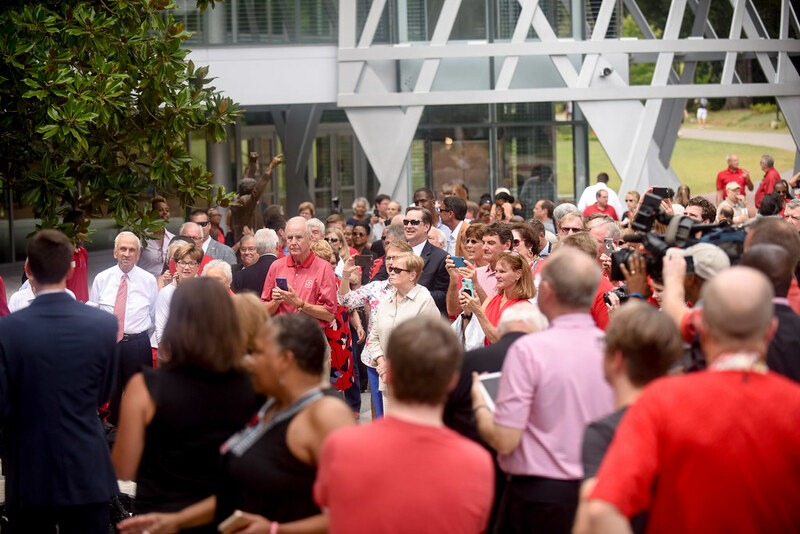 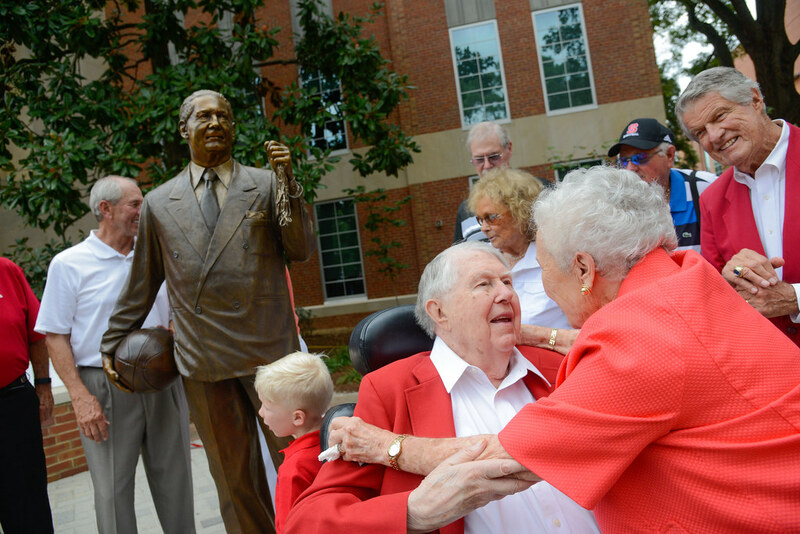 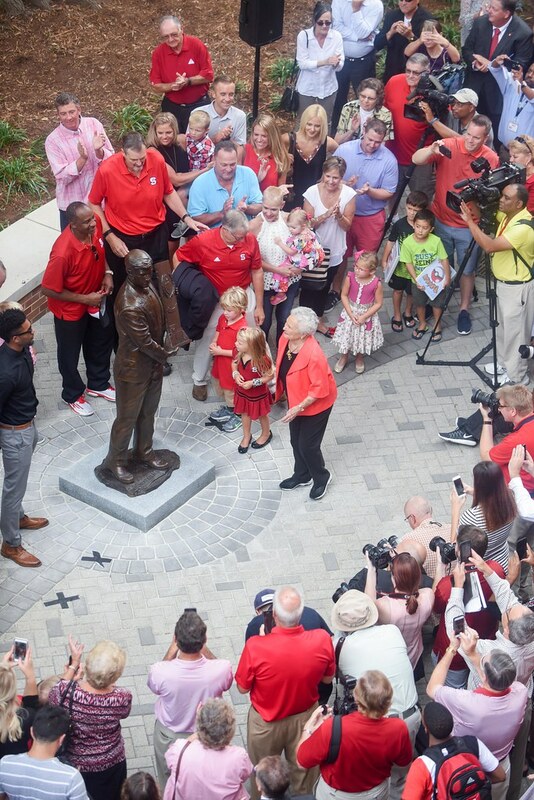 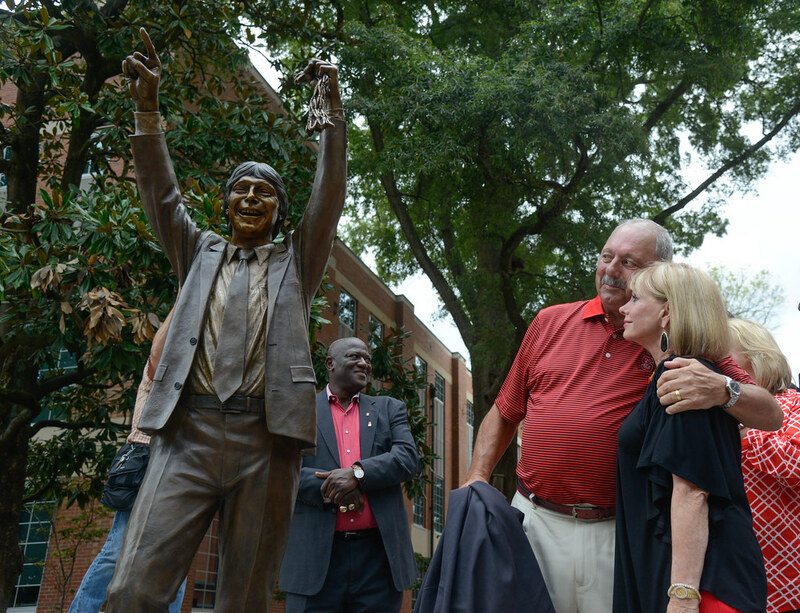 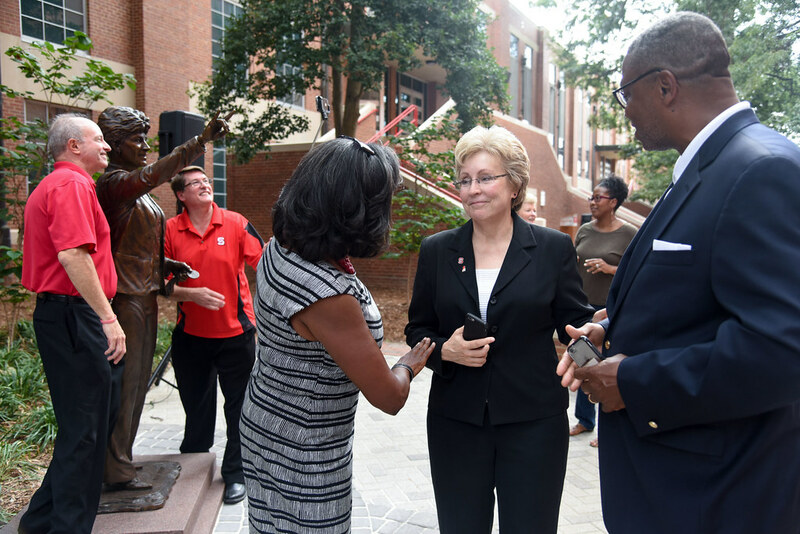 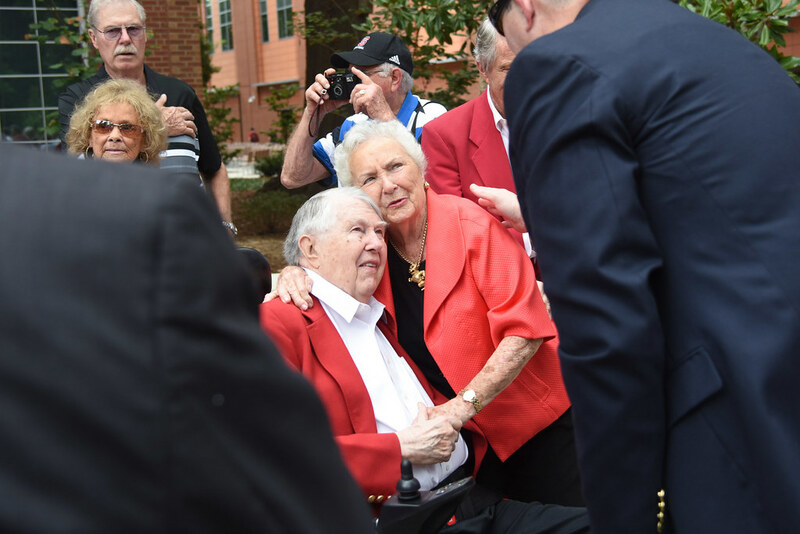 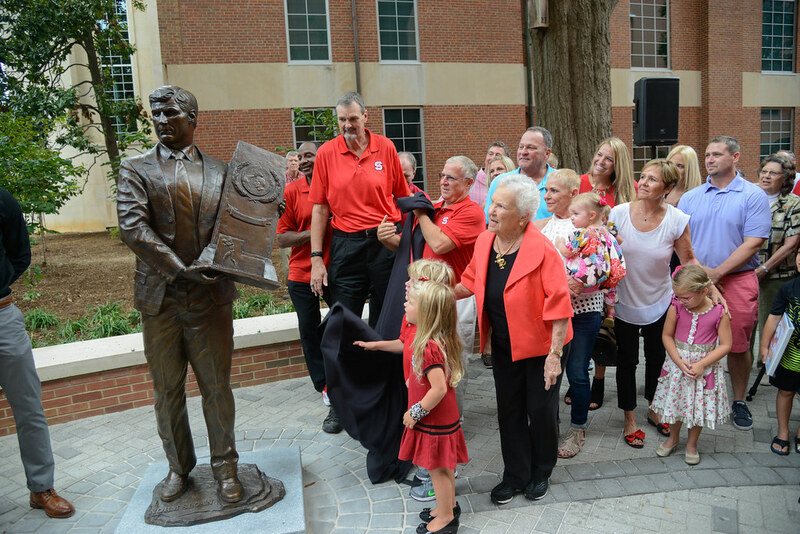 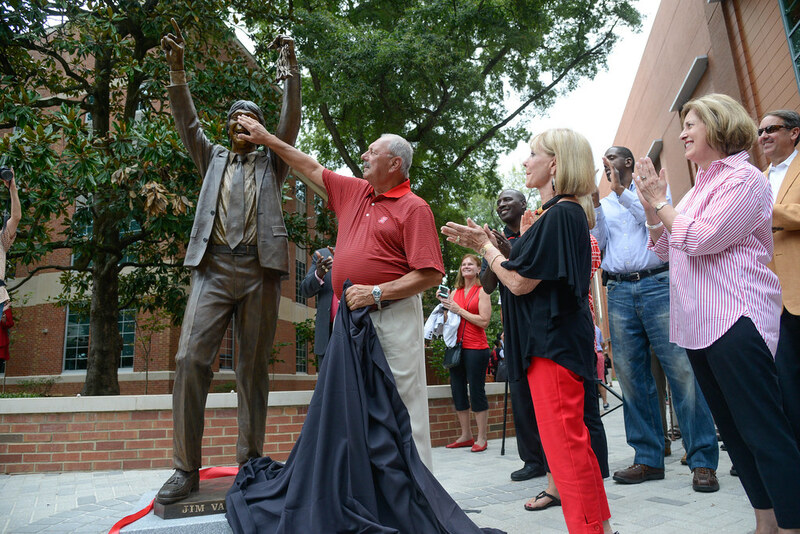 Life-sized statues of the four coaches — in the aptly named Coaches’ Corner outside the newly renovated Reynolds Coliseum — were unveiled to family members, former players and fans during a ceremony on Sept. 16. 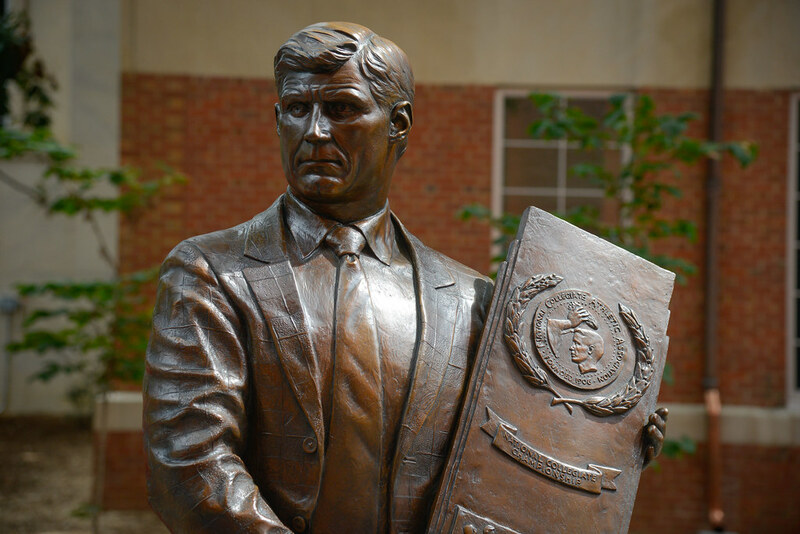 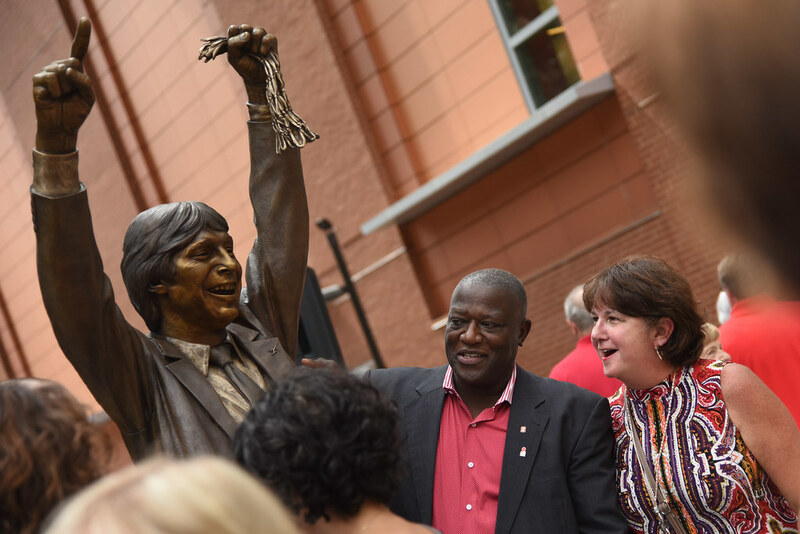 Artists Tyson Snow and Benjamin Victor worked with the families, former players and others to create statues that capture each coach’s essence — such as Sloan’s stern expression and trademark plaid sports coat and Valvano’s memorable dash around the court looking for someone to hug after his squad won the NCAA men’s championship game in 1983. 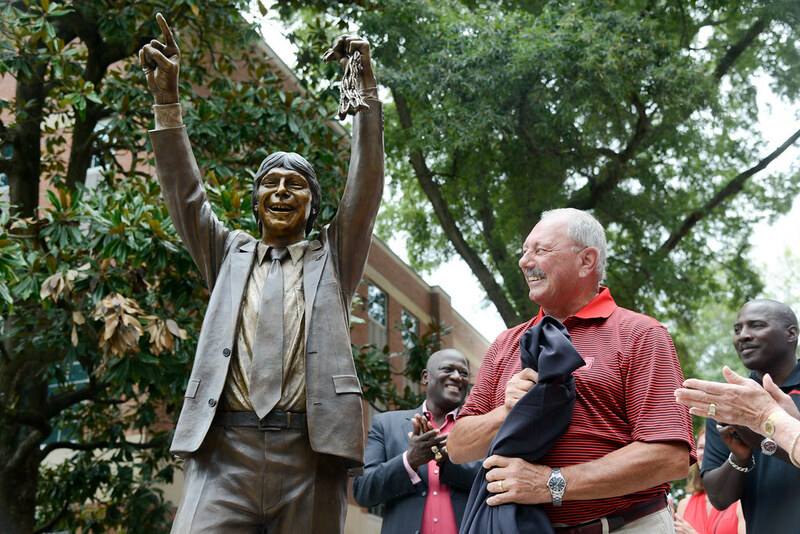 The push to develop Coaches’ Corner started after Yow passed away in 2009. 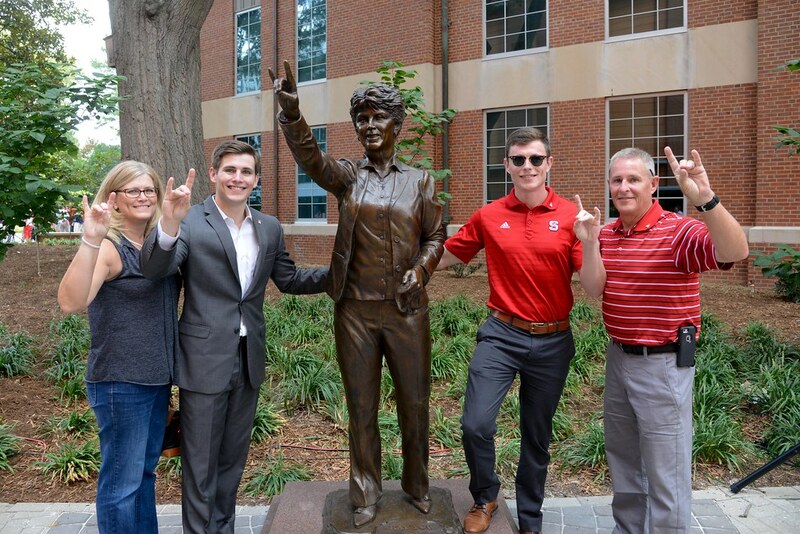 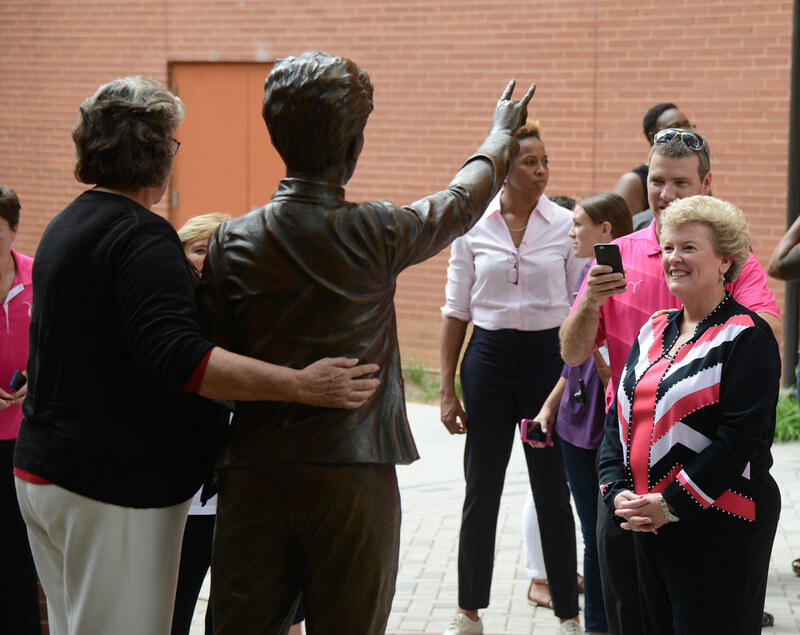 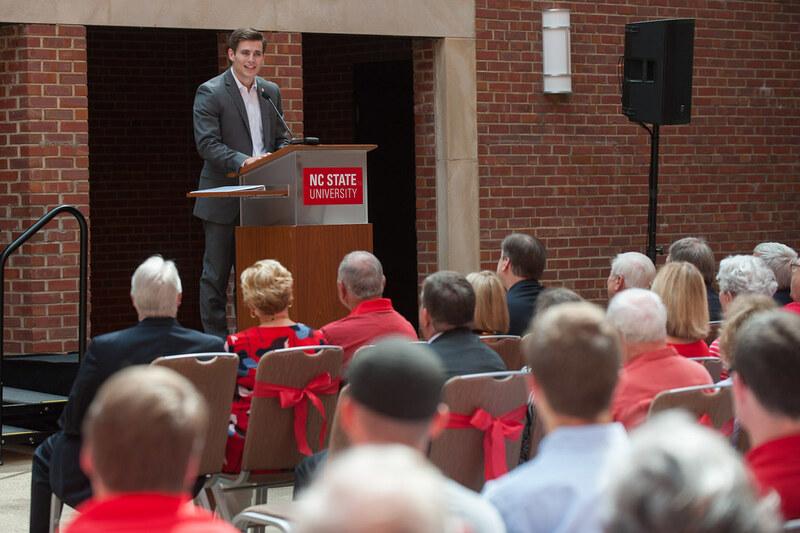 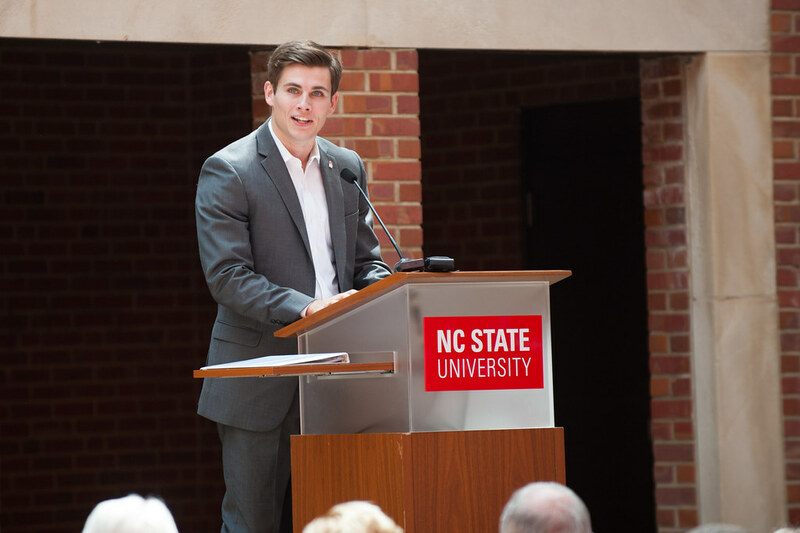 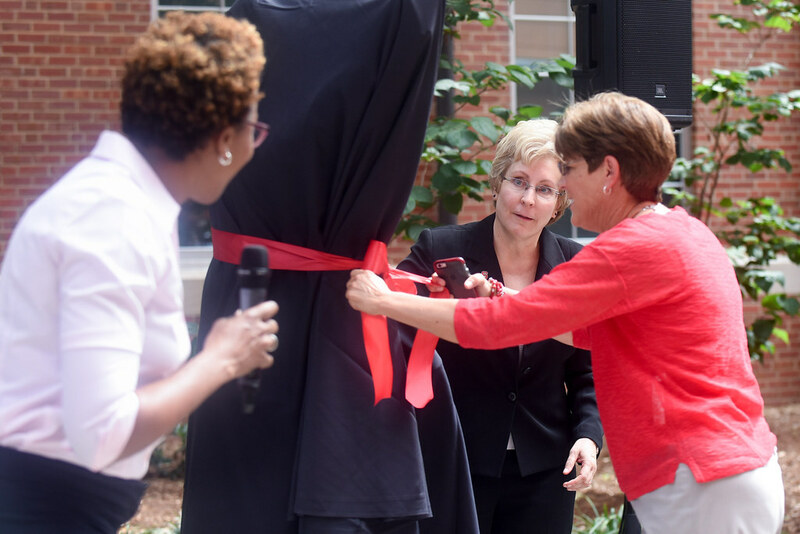 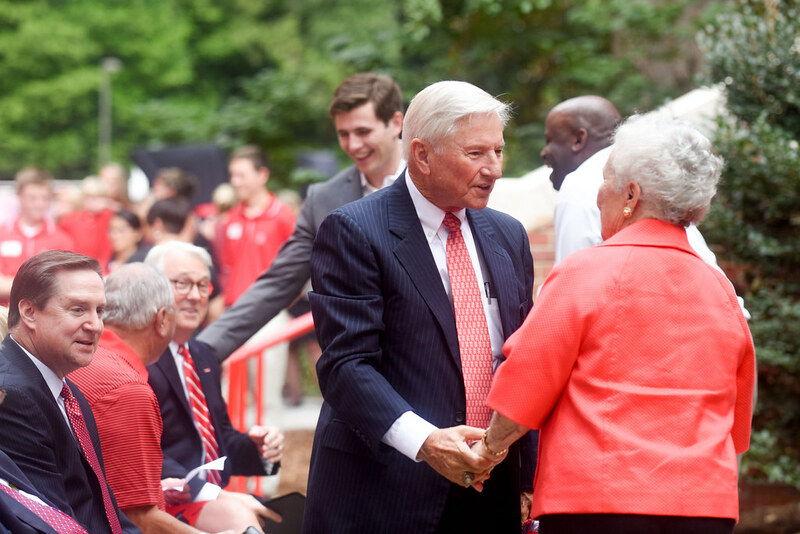 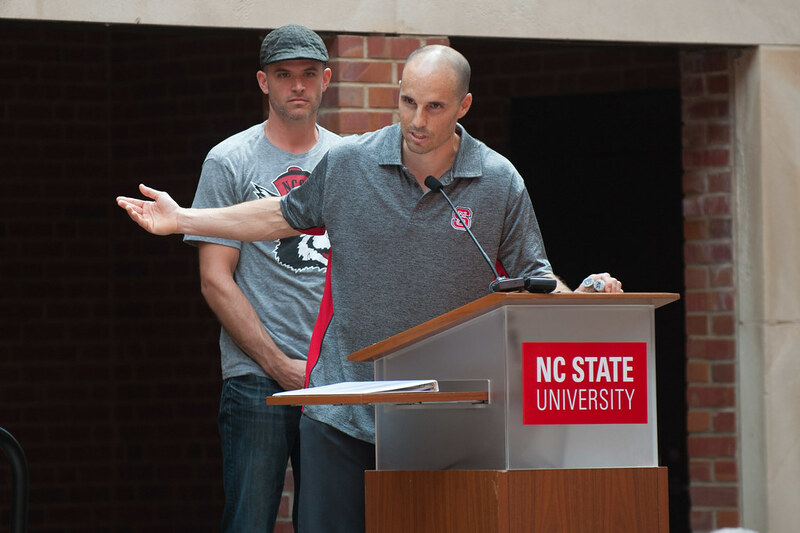 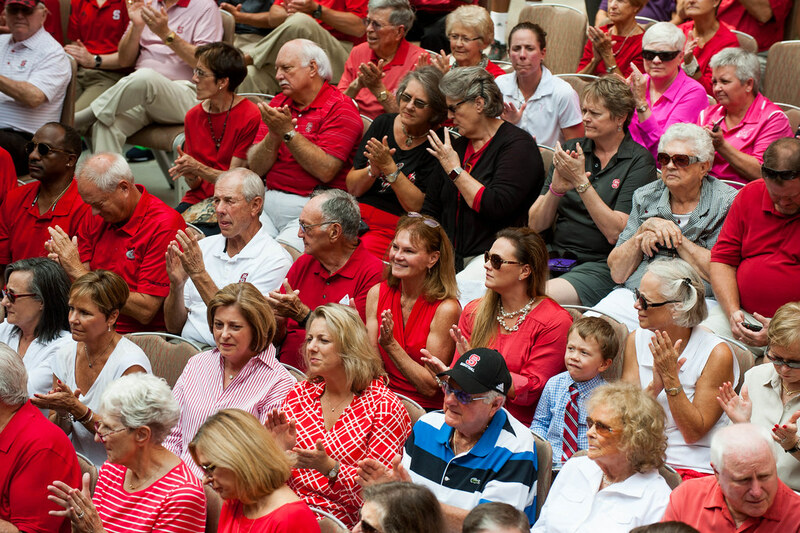 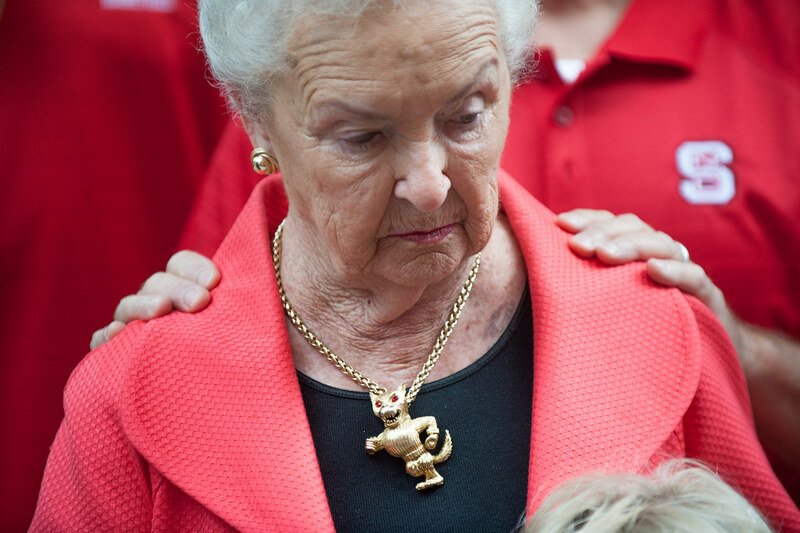 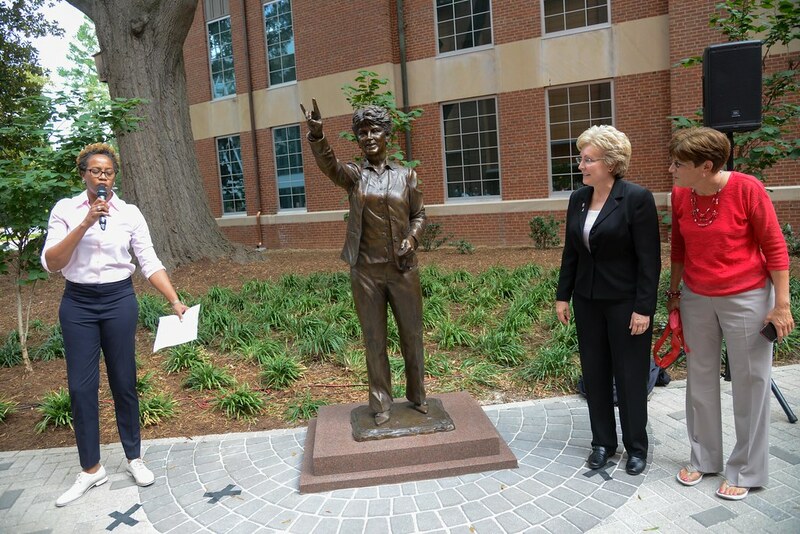 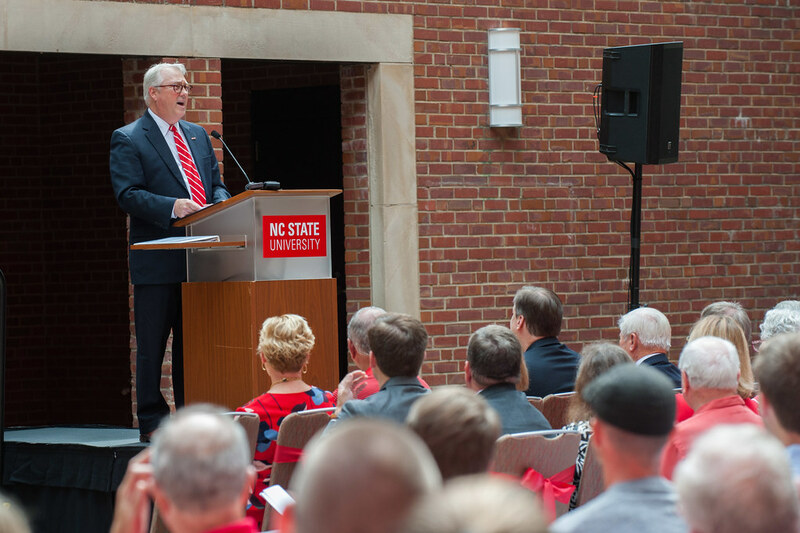 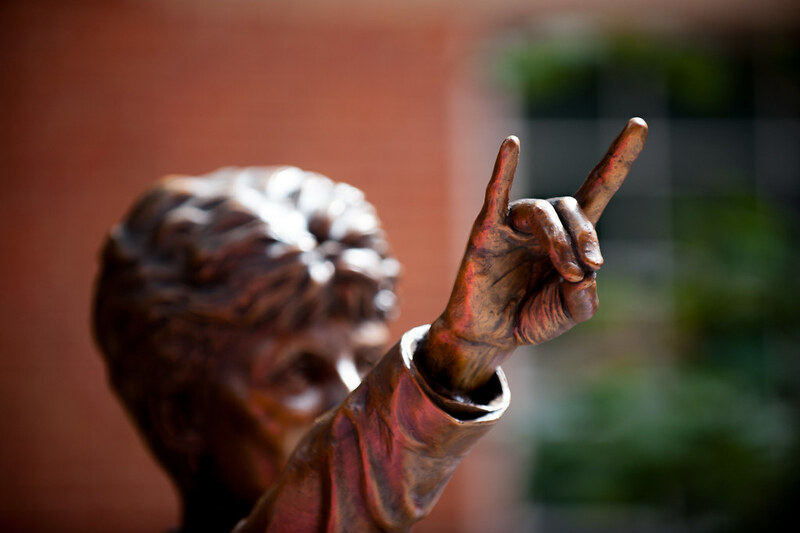 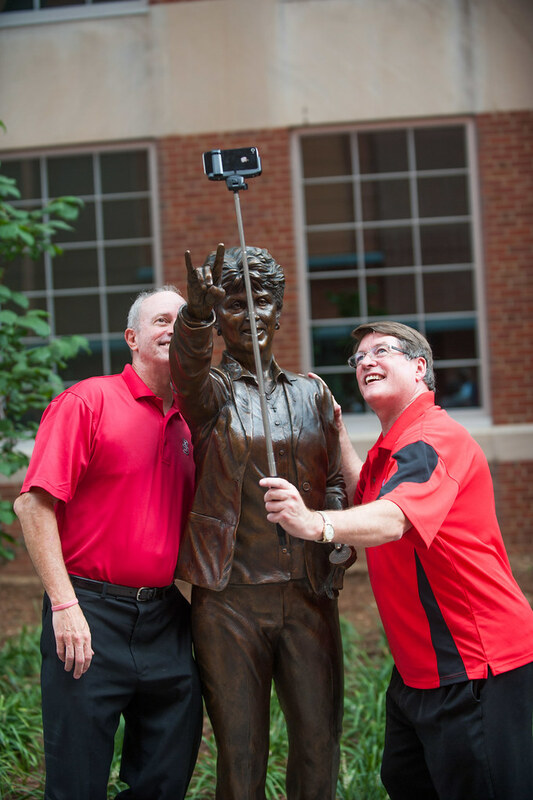 Brant Ruben, a student at the time, came up with the idea to memorialize Yow, longtime leader of Wolfpack women’s basketball, on the university’s campus. 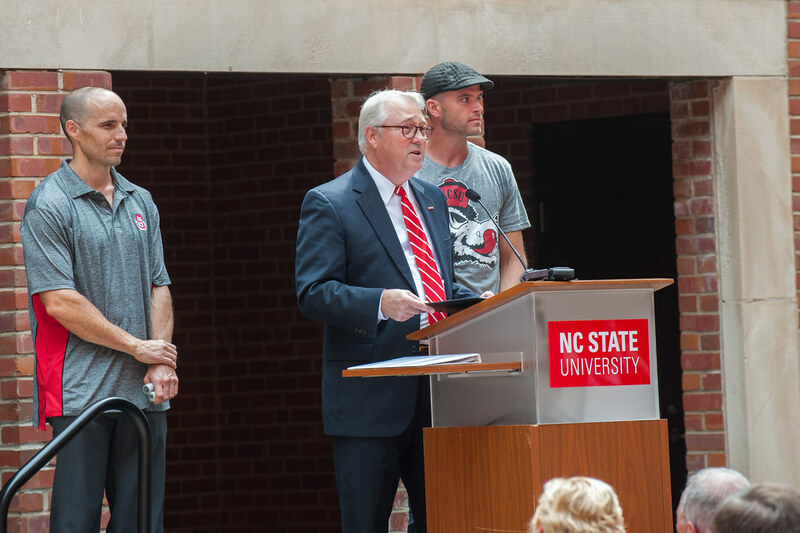 “I’ve seen how these coaches impacted their former players, many of whom have supported this initiative,” he said. 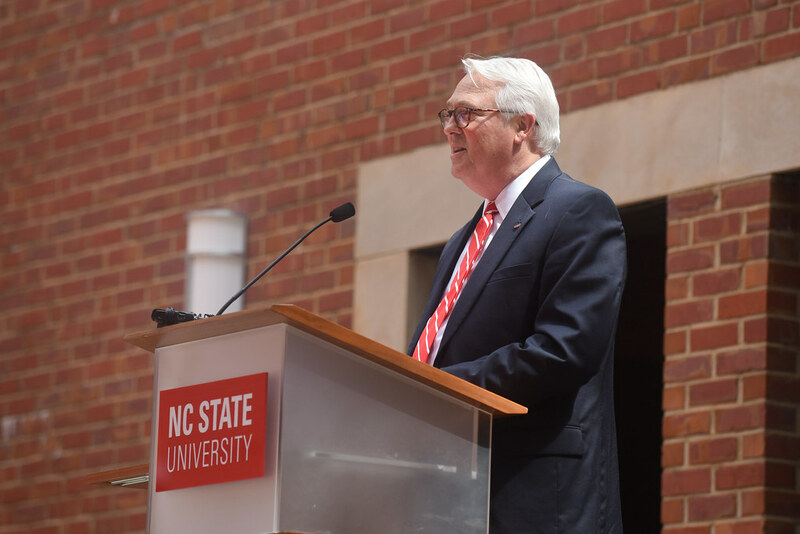 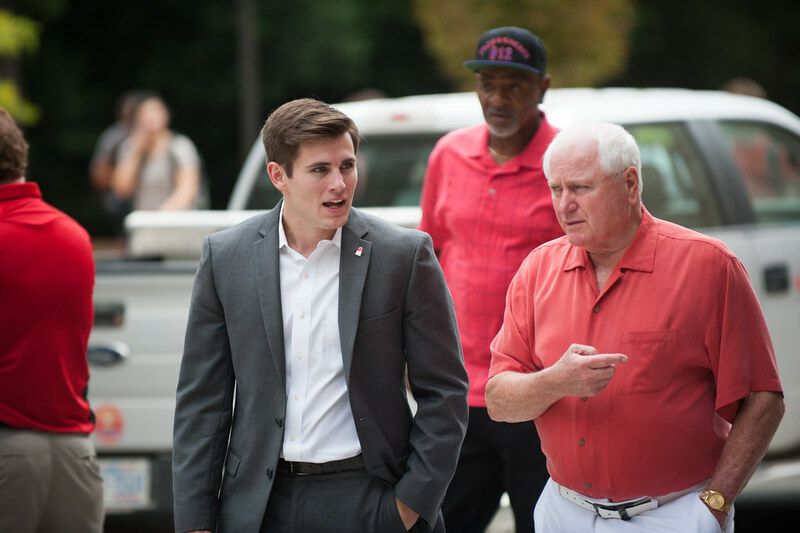 The NC State student chapter of the American Concrete Institute donated and installed the footers and foundations for the site through a philanthropic initiative called Concrete Cares. 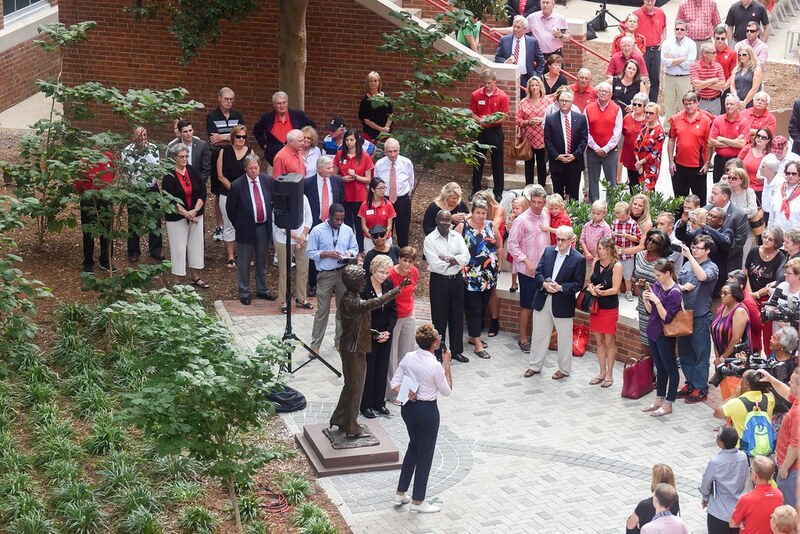 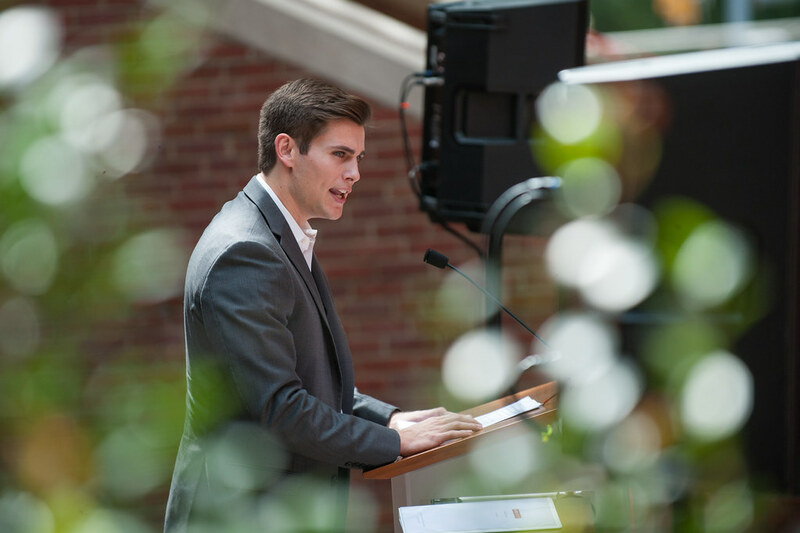 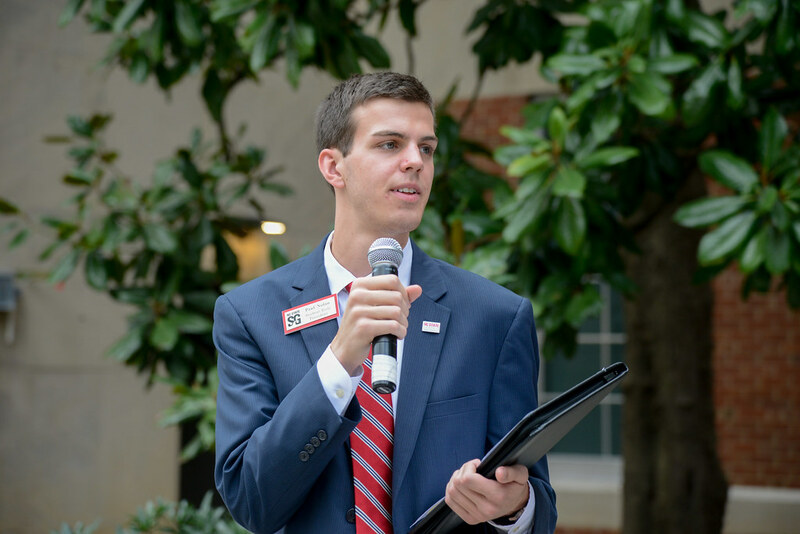 Woodson recognized the important roles of the student leaders who advocated for the project, as well as the alumni and friends who offered financial support for the permanent tribute. 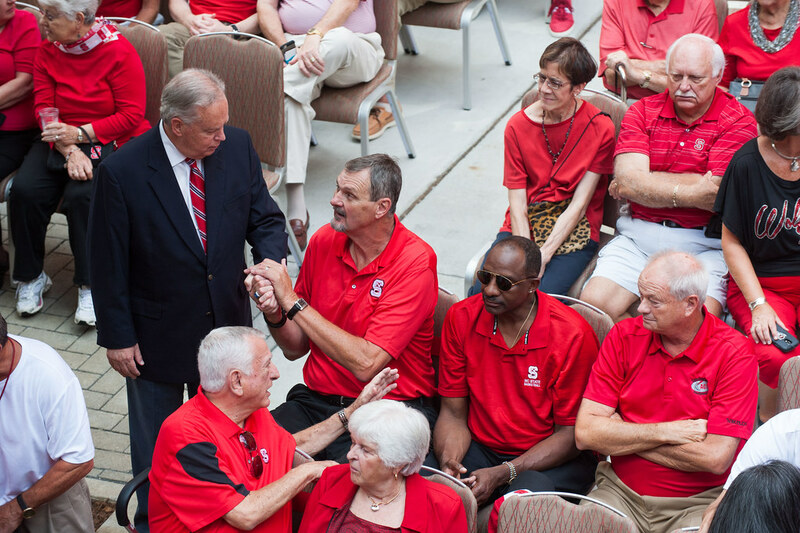 All four coaches are NC State Athletics Hall of Fame inductees. 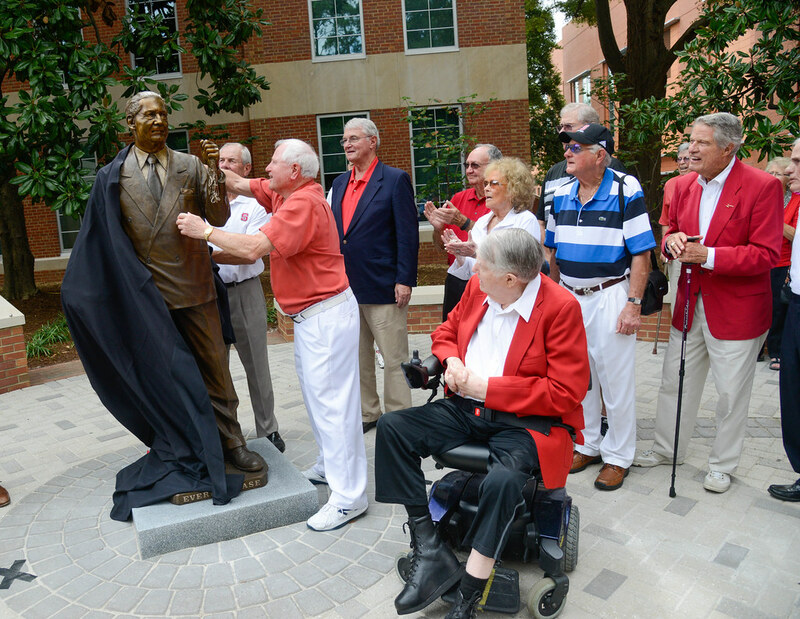 Case, also known as “the Gray Fox,” led the men’s basketball program from 1946 until 1964 and is credited with bringing big-time basketball to the South. 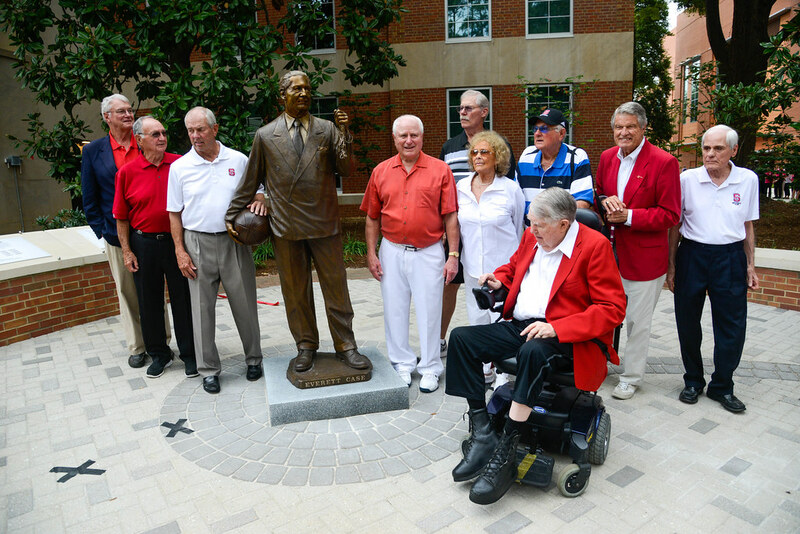 His early championships created the excitement that inspired NC State to complete the construction of Reynolds Coliseum, or “the house that Case built.” Many college basketball traditions began with Case, including cutting down the nets after championship wins and spotlighting and introducing players on court before games. 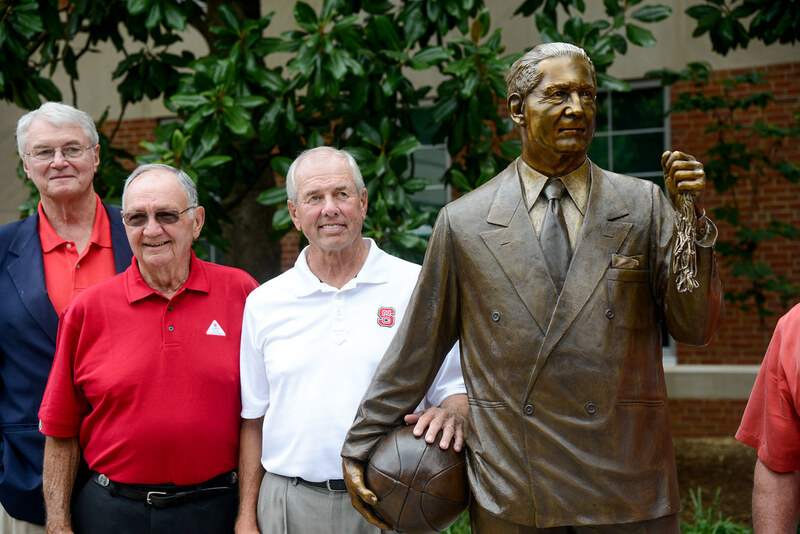 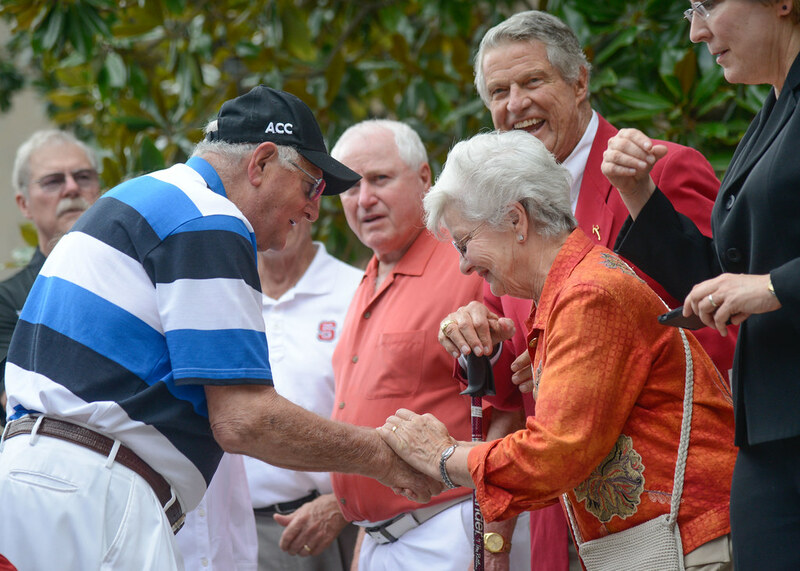 “Stormin’ Norman” Sloan, a 1951 graduate of NC State, played for Case and came back to his alma mater to serve as head men’s coach from 1966 until 1980. 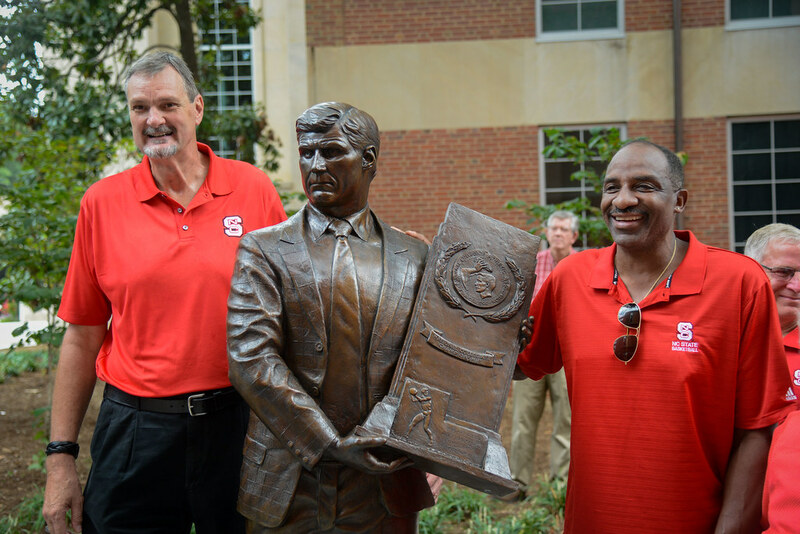 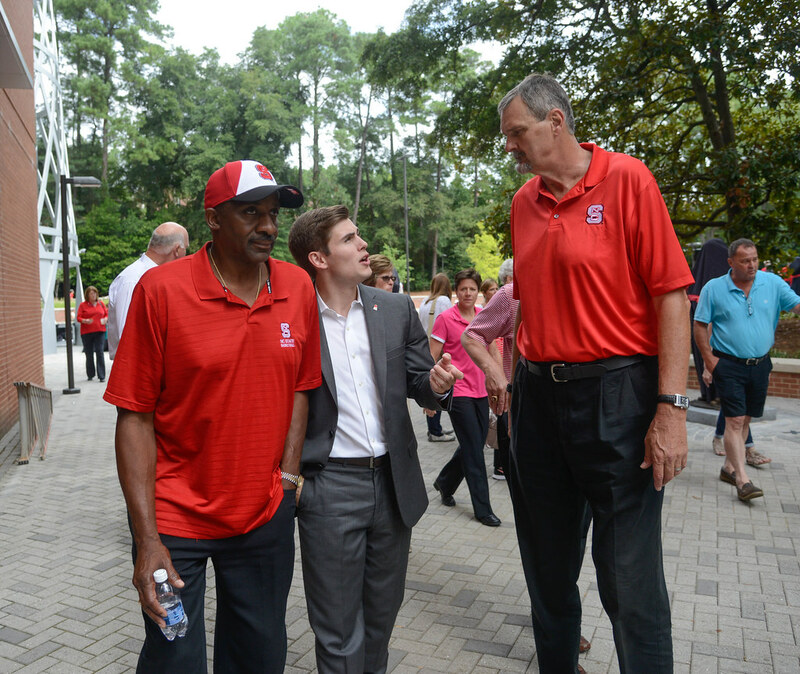 In 1974, Sloan led the Wolfpack — including legends David Thompson, Tommy Burleson and Monte Towe — to the men’s basketball title, bringing home the university’s first NCAA championship in any sport. 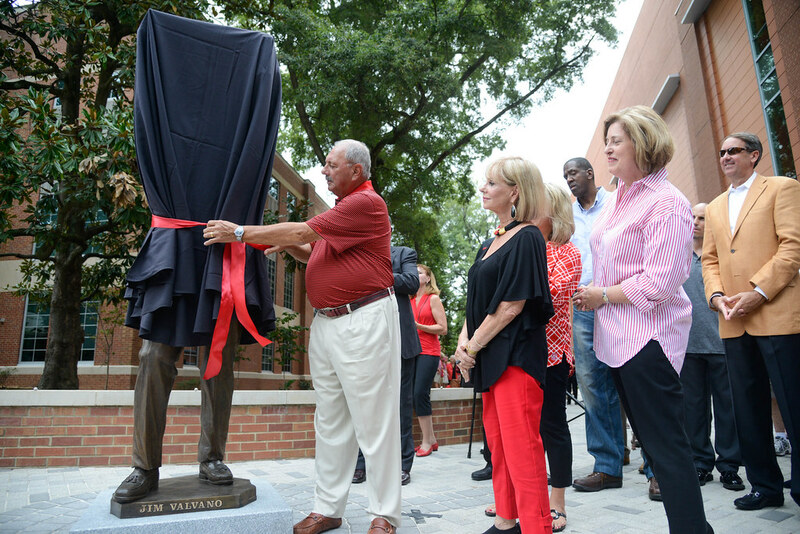 Valvano was head coach of the men’s basketball program from 1980 until 1990. 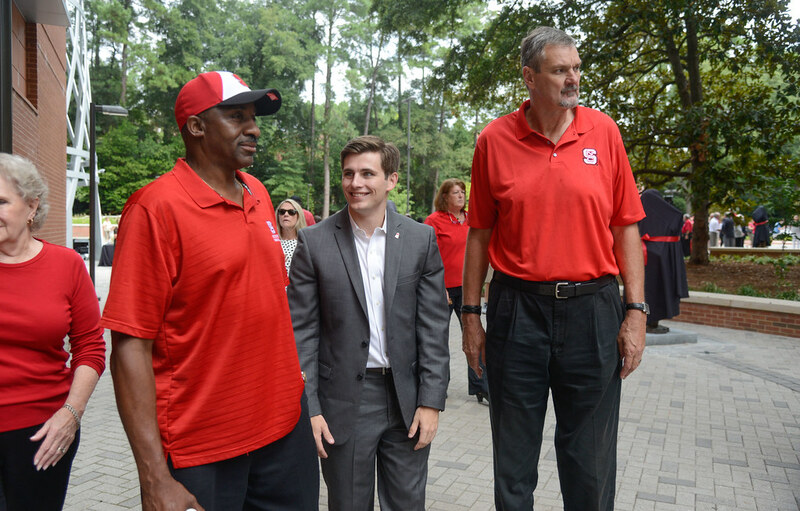 In his third season, he led the “Cardiac Pack” to nine consecutive postseason victories as they defeated top-ranked Houston in dramatic fashion to bring home NC State’s second national title in men’s basketball. 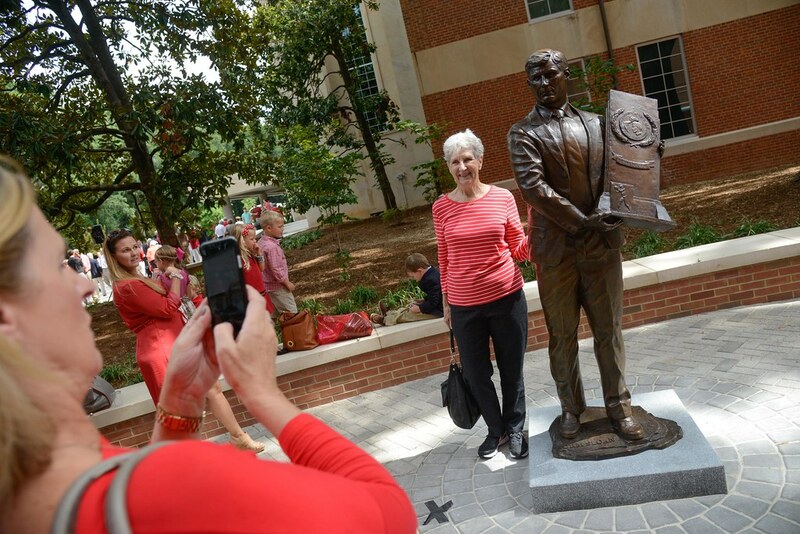 Yow, who coached at NC State from 1975 until 2009, was the first full-time women’s coach for any college sport in North Carolina. 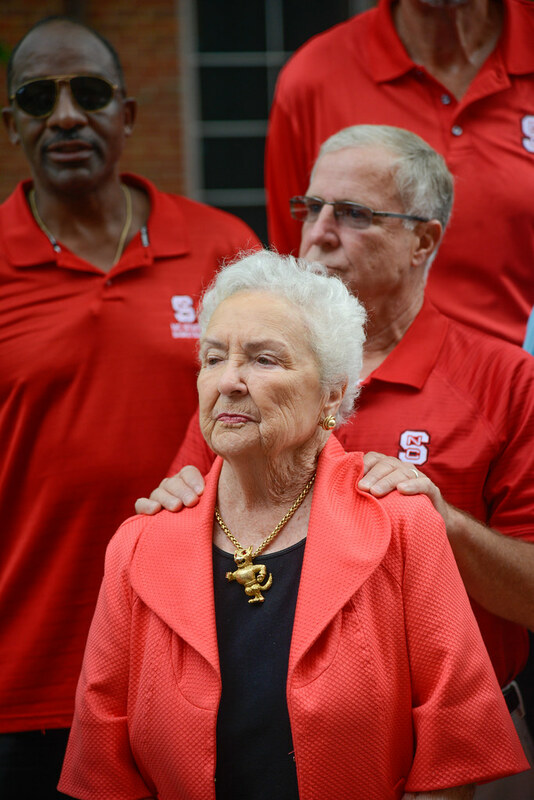 She was hired to coach volleyball, basketball and softball, winning championships in all three sports. 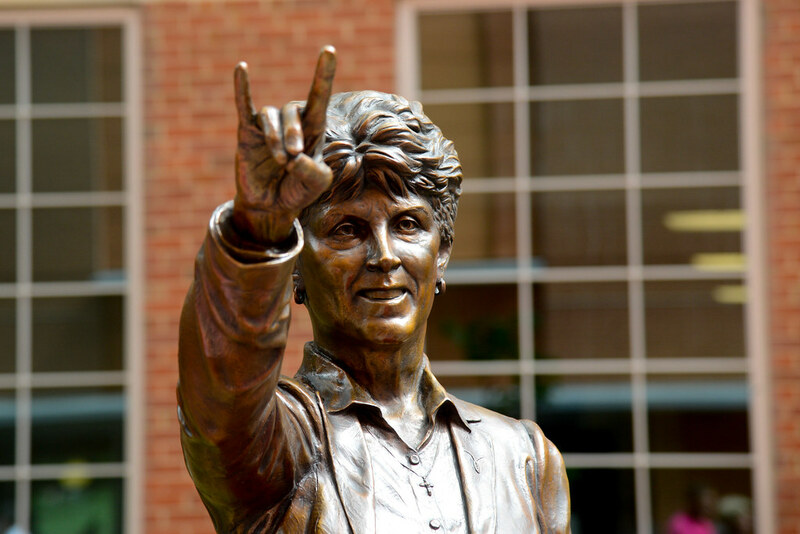 Yow led the women’s basketball team to success, earning 11 trips to the Sweet 16 and an appearance in the Final Four in 1998. 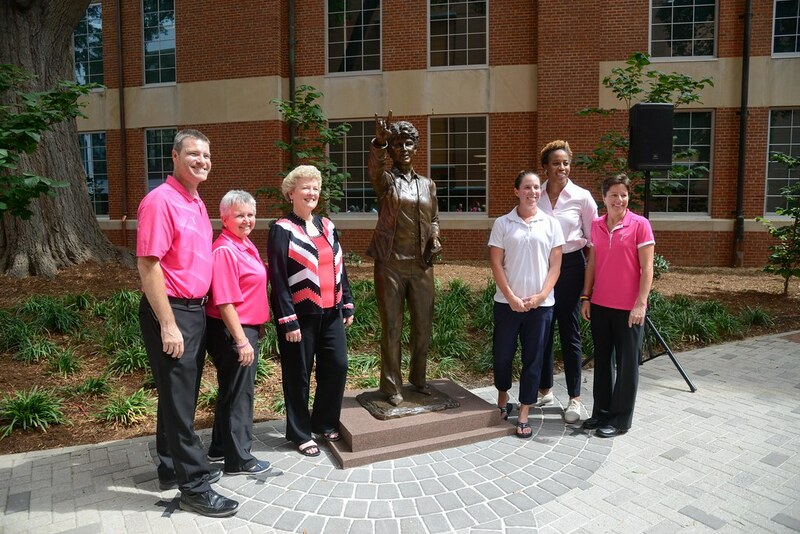 She also coached for Team USA Women’s Basketball, winning gold medals in 1984 as an assistant coach and in 1988 as head coach. 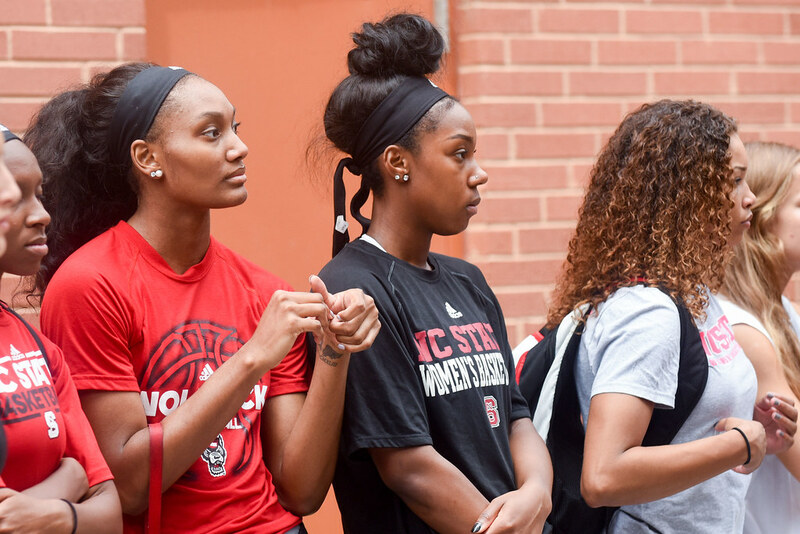 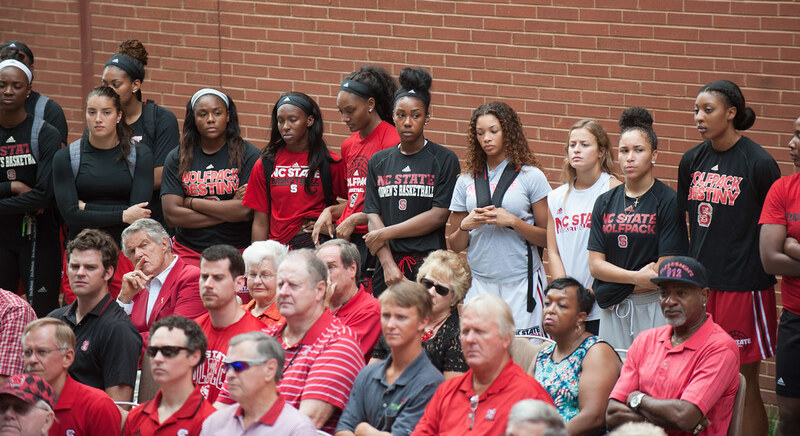 Former Wolfpack and WNBA player Chasity Melvin spoke about her former coach at the unveiling ceremony.